I guess everything started when I was trying to convince my party to change the setting for our campaign. The year was 2005 and we’d been playing in the Forgotten Realms for a couple years, but I was stunned and growingly obsessed with Eberron, the setting that won the Fantasy Search started by Wizards of the Coast in 2002. We were about to finish an adventure, and I wanted them to metaplay and follow a portal to another world. When giving some details, I suggested them to watch some movies and imagine themselves playing D&D in them. 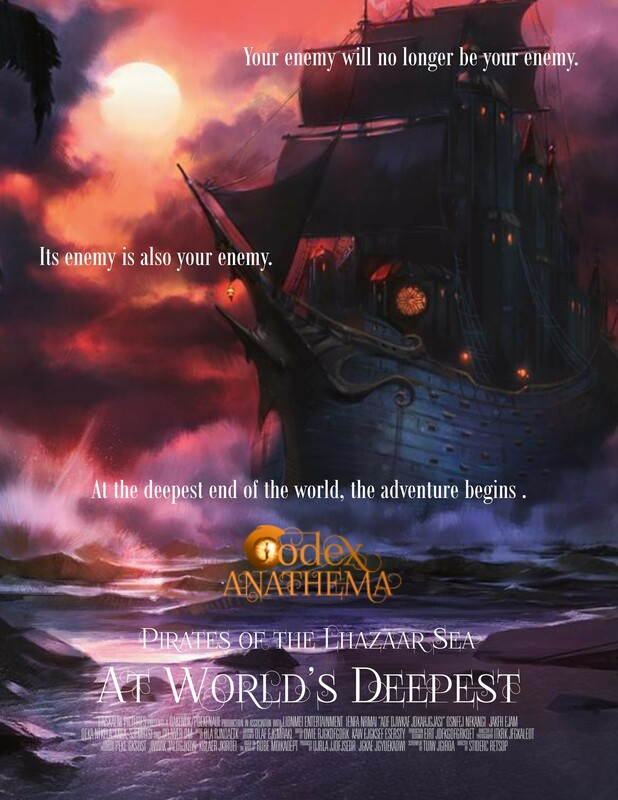 One of those movies was, as mentioned in the Eberron Campaign Setting, Pirates of the Caribbean (which, by then , we knew would release a full trilogy). One of my players was a big fan of Captain Jack Sparrow, so he agreed to help me convince the other playersin order to leave Faerun behind in order to embrace a pirate campaign. I had barely look through the pages of my brand new Campaign Setting by then, but I remembered flying ships from the previews, so my decision was quick. “Let’s do this”, I said. I started the campaign just as a scavenger hunt. Fantasy references to ghost ships, krakens, treasure maps and magical compasses were all around a somewhat disorganized plan that gave players too much freedom. Most adventures were about the next artifact to get salvaged and sold and no continuity was established… for a year. Hardest part of this first version of my campaign was to join all the dungeons visited and artifacts recovered into a single thread that would appeal to my players. As usual, Magic the Gathering came to my help as I remembered the Legacy Weapon and the fabulous Weatherlight. Our adventurers were actually recovering magic items to make a flying ship work without the help of House Lyrandar (in the Eberron Campaign Setting, House Lyrandar is the organization that has a magicalmonopoly on flying ships). From there, sometimes I felt the campaign was writing itself. Once they decided they wanted the ship for themselves (they were leaded by a pirate, after all) I could start a new chapter. 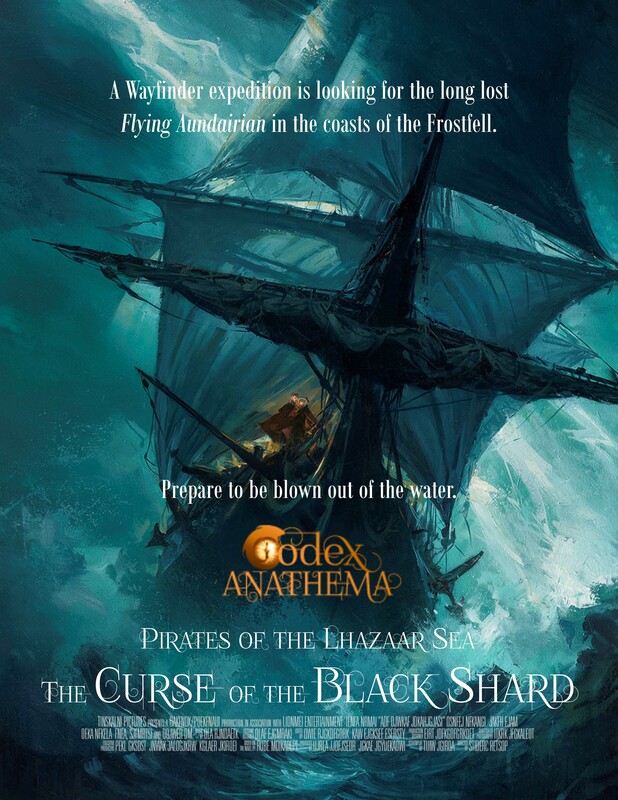 In one of their previous adventures, the characters have vanquished a ghost, but weren’t able to notice it was actually a lich, so he was back with a vengeance after reincorporating in the ship where his phylactery was hidden: the infamous Black Dragonshard held in the captain’s room on board the Flying Aundairian. This second chapter would revolve around pursuing the running away ship in order to destroy its captain and its source of power. After many adventures to find out the best way to do it (often clashing with a secretive order of the Silver Flame) the heroes end up in a race against the clock only to find out they had the phylactery with them all the time, as it was installed in their ship. The team had to sacrifice their ship in order to destroy the lich, but they were rewarded with powerful allies: the seven Valenko sisters, a group of Lyrandar outcasts who would help them to build a new one. The vanquish of a lich was a pivotal moment, so I decided it was time to start a new chapter and conclude the trilogy. Unaware the heroes had taken care of the lich and its origin, the Silver Flame agents were still behind them while they were just plundering ancient artifacts again, for good old times’ sake. One of these items, though, was a relic of the Flame known as the Crystal Couatl. As with many artifacts, the Crystal Couatl was just an excuse to have a demon released, but not any demon: in this case we were talking about Bel Shalor, the Shadow in the Flame, which Cardinal Krozen was preparing to release into Eberron from his prison under the Cathedral in Flamekeep. This campaign was played under Dungeons & Dragons 4th Edition, which already separated the tiers of play in three: Heroic, Paragon and Epic. Each of these chapters fitted on of the tiers, so by the time the adventurers turned saviors were about to reach the pinnacle of their abilities, they were about to face a terrible threat to the Multiverse in the form of an Overlord. Years later, a sequel bred itself when the fourth movie in the Pirates of the Caribbean movie was released, but that will be the topic for another article. I hope you liked this brief storyboard and maybe sparked your imagination to fit some pirates and plunder into your very own campaigns. I love this and I am very interested in seeing more! Here are some of the things I am interested in seeing! 1.b – I have no idea how the Lhazaar people survive in their islands without a heavy reliance on the dragon mark families. Any explanation on how they survive hurricane season would be much appreciated. 4- Warforged or Humunculous Parrot. 7- I would like to see each of the races represented with dirty disfigured pirates, all the basic races, and goblins, hobgoblins, bugbears. Basically I want to see everyone as pirates. (Maybe make them recruitable crew men, maybe have posters up for their bounties. 8- Having a quick little side board for suggestions of why people may have left the five nations to become a pirate because of the war. Corrupt home lands make for a great pirate theme. 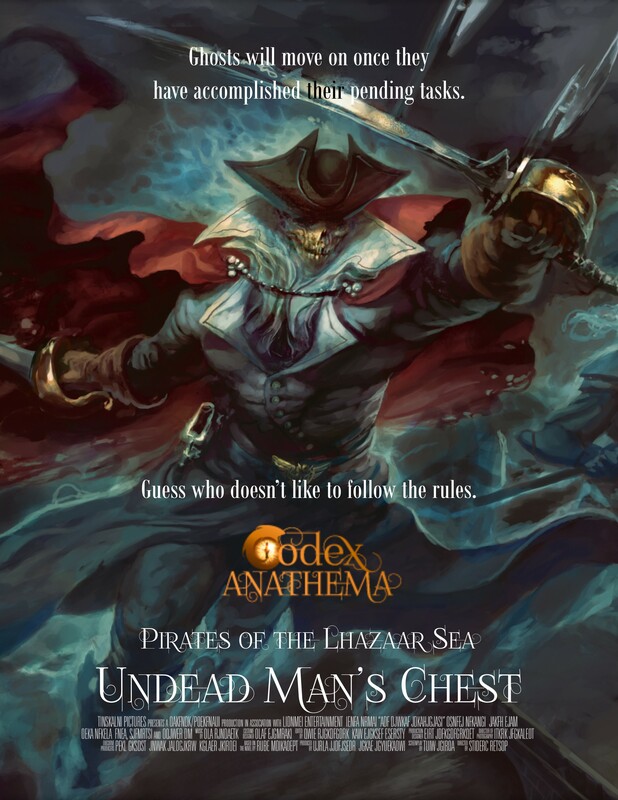 Reading this really got me into a pirate mood. 9- Damaged Warforged Titan turned into, or merged with a ship.